The monks who brew Belgium's award-winning - and scarce - Westvleteren beer are furious after a Dutch supermarket put their beers on general public sale for almost three times the original price. The brewers at Sint-Sixtus abbey in West Flanders have complained to the Jan Linders group that the practice completely goes against their principles of only selling limited batches to individuals. The supermarket announced last week that 7,200 bottles of Westvletern 12 - which Ratebeer has frequently voted the best beer in the world - and Westvleteren 8 were on sale at €9.95 per bottle and limited to two bottles per customer. The monks sell their beer direct to the consumer for €3.75 a bottle. Customers must phone the abbey to join the waiting list and fetch the crate themselves on a given day. An abbey spokesman told VRT: "We heard about the supermarket promotion in the media and we're extremely shocked. It goes against the values of our community." Only once have the brewers allowed the mass sale of their beers - in 2011 when Colruyt was authorised to sell 93,000 bottles to raise funds for the abbey's renovation. 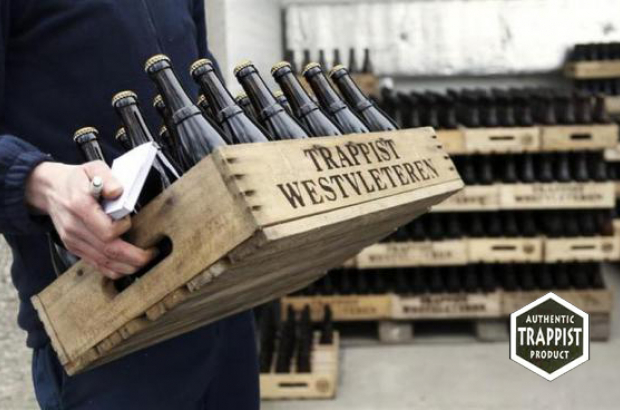 Jan Linders would not say how it got hold of 300 crates of the sought-after beers. But it said in a statement: "We would like to emphasise that the sale - in collaboration with purchasing partners - is organised with the best intentions, with respect for all Trappist beers and without any profit." And what is "without any profit" supposed to mean? Are we to believe they gave the 6,20 x 7200 = 44640 Euros to charity? I can only imagine they want to say their "purchasing partners" took the lion's share of this sum, but seen from the outside that's an arbitrary distinction. Those people were part of the same business, even if they don't belong to the company. Sorry that's just wrong. The rules of the International Trappist Association mean that an abbey brewing a beer has to use the proceeds for religious, pastoral and charity work, as well as the upkeep of the monastery and the brewing facility. The rule is perfectly simple, and if the abbey doesn't comply, they will lose their Trappist Beer status. Imagine a band gives a concert at, say, Ancienne Belgique. Tickets are in great demand, and sell out quickly. However there quickly appears a scondary market in tickets which have been bought by people who have no intention of attending the concert, but only to sell on to those who were unable to obtain any. So those tickets are being sold by the people we refer to in English as "scalpers" at a prince several or even many times the price being asked by the venue in collaboration with the band. Who do you suppose gets the money when someone buys one of those tickets? The band, the venue, both or neither? There are now laws in Belgium making it illegal to offer for resale a concert ticket at a price higher than its face value. In the meantime, organised gangs are breaking the rules imposed by the monks at Westvleteren, whose product it is, in order to sell their beer at vastly inflated prices on the internet and, in this case, Dutch supermarkets, which are not businesses best-known for their scruples or concern for customers. Who do you suppose gets the money from those black-market sales? The monks, the charitable, pastoral and religious works, or none of the above? In my view, the abbey should stop sales to visitors, flood the black market with beer at a normal price and bring the scalpers down. I don't see anything there against the ITA rules, except the fact that monks are in general good people, unlike me.